Below is the latest video, 'One to One with Gloria' and Governor Mario Cuomo during red carpet at The Elly Awards at The Plaza Hotel, New York City on June 25, 2013. 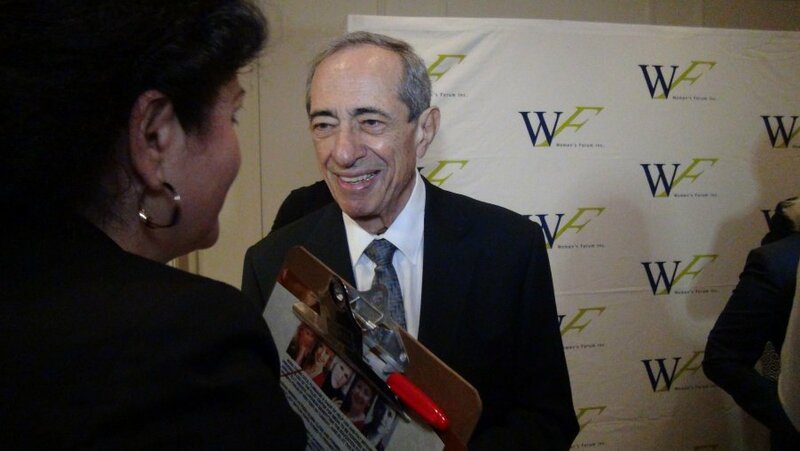 The opportunity to meet and interview political icon, Governor Mario Cuomo, about 10 days after the unveiling of his portrait at the state Capitol on June 15th which incidentally was his 81st birthday and the day before Father’s Day, was truly an amazing experience and one I will cherish for a very, very long time. 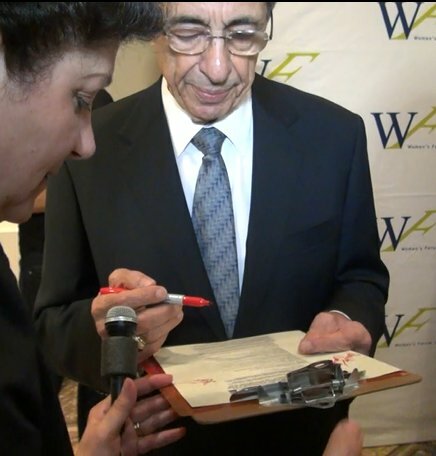 Photo left, Cuomo signs "The 3rd Annual Elly Awards" guest sheet. This year daughter, Maria Cuomo Cole and Pat Mitchell were honored for their leadership. More info about the event at the blog titled The 3rd Annual Elly Awards honors Maria Cuomo Cole and Pat Mitchell: Eve Ensler moderates leadership conversation with honorees. There's plenty more Elly Awards photos on FACEBOOK too!